Ferrari Cars Giveaway - Winner announcement! 3. Get your friends to Like your Wall Post on the Reyjr.com FB Page. Important: You need to be in Manila to join this giveaway! You may post on my FB wall as soon as this post is published. I will then count Likes on 11:59PM on Monday (April 25). 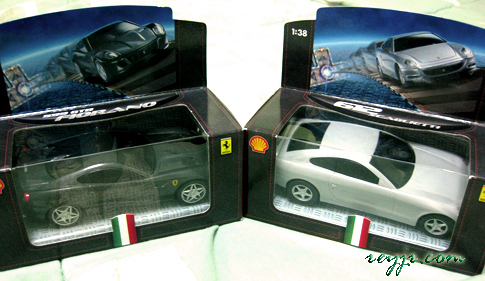 The winner of the 2 Ferrari model/toy Cars is Erlyn Lazaro-Trinidad or bluerlyn with 109 Likes. She wanted the toys for her son who had a fixation on cars. :D I hope you and your son Nathan enjoy them Erlyn! Watch out for MORE giveaways from Reyjr.com coming soon! 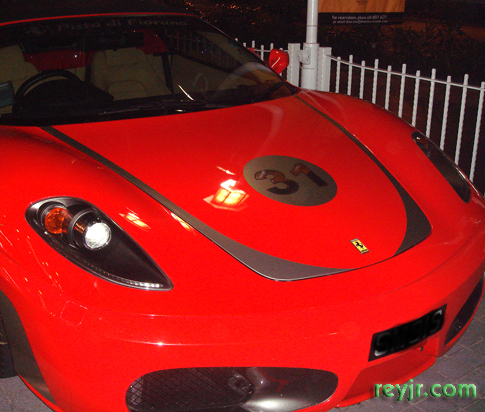 *This giveaway is not in any way affiliated with Ferrari or Shell or any of its products. I survived iBlog7: The show must go on!